This talk traces the centrality of the human face in the construction of modern selfhood. It does so with particular reference to the nineteenth century production of individuality as well as the contemporary politics of veiling and terrorism. 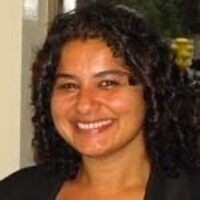 Vanita Seth is a wide-ranging political theorist whose work engages early modern European thought, feminist, postcolonial and postmodernist theory, histories of racial discourse, histories of modernity and histories of the body. Seth's current book project, tentatively titled Tailoring Individuality, traces the history of a particularly modern form of selfhood: the individual. Seth's research explores the possibility that individuality derives its meaning through its constitutive parts, through the collective assemblage of a wide array of characteristics (interiority, uniqueness, authenticity, originality, rationality, judicial culpability and corporal fixity) that have their own peculiar, inter- related and at times, discrete histories. Sponsored by the Mellon Advancing Intercultural Studies Contested Histories seminar at the Center for Ideas and Society.